Noted lawyer and ousted AAP leader Prashant Bhushan, who formed a forum Swaraj Abhiyan along with Yogendra Yadav, has for the first time dragged Arvind Kejriwal-led Delhi government to Court. Now Bhushan, representing his NGO Centre for Public Interest Litigation (CPIL) moved the Supreme Court seeking contempt of court action against Kejriwal-led Delhi government for alleged misuse of crores worth of public funds by issuing advertisements in electronic and print media glorifying the Chief Minister and the party in “total violation” of May 13 Supreme Court judgment. Bhushan has also sought similar action against AIADMK-led government in Tamil Nadu for similar “violations”. Admitting the petition, a bench headed by justice Ranjan Gogoi on Monday refused to issue notice to Kejriwal government but sought an explanation from the Modi government as to why it has not yet set up a three-member committee to regulate and scan government advertisements for violations and take appropriate action. The centre has been asked to respond within four weeks. The bench said the issues of the alleged violations by the Delhi and Tamil Nadu government will have to be dealt with by the three-member committee. 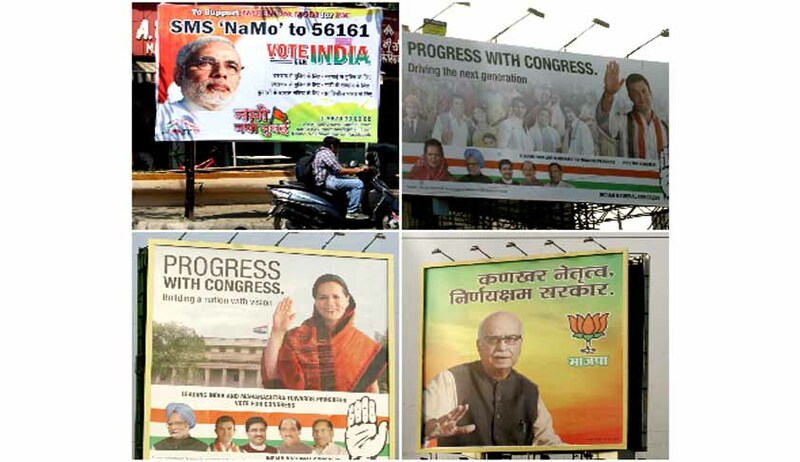 “The advertisements would show they have been issued wasting huge public money to get political mileage for the party in power, its political leaders at the cost of state exchequer”, it said. Bhushan has drawn the attention of the court to two advertisements issued by the Kejriwal government, the first one of two minutes being shown on television which explains his his government reduced electricity and power bills and doubled the budgetary allocation for education sector and the second one of 1.27 minutes. “The recent advertisement of 01.27 minute duration issued by the GNCTD on July 9, 2015 is being advertised rampantly on television at short interval, bearing the tagline ‘wo pareshan karte rahe hum kaam karte rahe’, that is, ‘they troubled us but we continued with our work.’ , the plea said. It also sought contempt action against the Tamil Nadu government. "The State of Tamil Nadu published advertisement dated May 26, May 30, June 2 and June 4 on completion of four years of tenure in almost all leading newspapers bearing photograph of the chief minister of the state. The advertisement ran into two full pages referring the chief minister as 'revolutionary leader' etc. glorifying the government and the chief minister. Such advertisements have tendency to create personality cult by projecting the political leader and party in power for their own political benefit at government expenses," the Supreme Court judgment had said.